This quick and easy Christmas card uses the Bright & Beautiful stamp set and framelits bundle that is 15% off through August 31st. Or you can get the bundle for free when you buy a Big Shot during this promotion! Notice how the star has very thin real red edges? This In A Minute tutorial shows you how to do this technique! I like to use this edging technique when I want my paper embellishment to stand out a little more from the background. 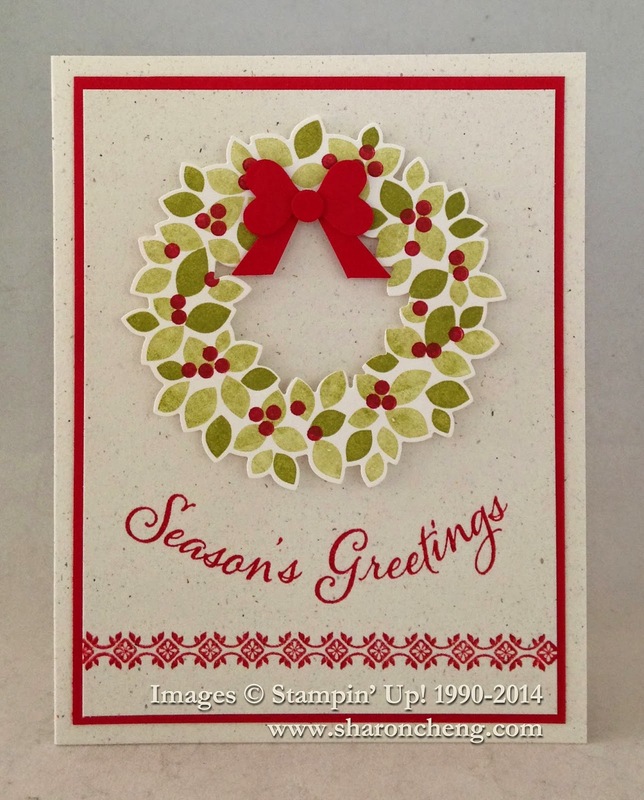 I used the same Season's Greetings as a curved sentiment for this card. hi Sharon-I was curious to know what type of cardstock you are using for your card base... almost looks like the naturals CS?? 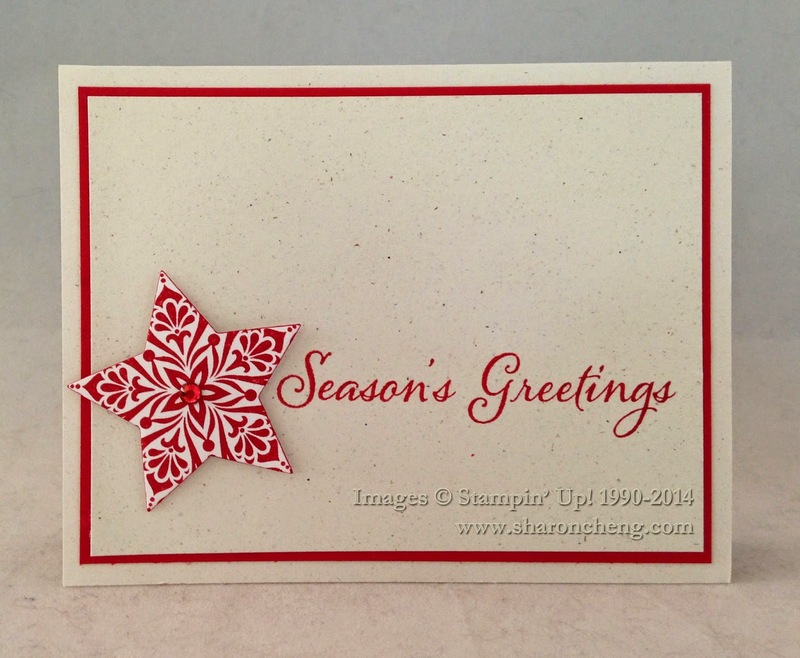 and btw I love both the cards using the seasons greetings stamp... very simple, but elegant. Thank you for commenting on my cards. You have a good eye. I did use Naturals White cardstock for both cards!